During the first session of every class that I teach at the University of Ottawa, I relate to my students some of my observations from giving a lecture at Jawarlahal Nehru University in New Delhi, India, back in 2007. Essentially, I tell them about how the students at JNU take their education much more seriously than do students in Canadian universities, about how they don’t complain about extra work or the difficulty of classes, but rather appreciate the increasing competitiveness of a globalised economy and therefore the importance of every small iota of knowledge or skills that an educator can provide. This experience is contrasted with some of the complaints I get from some Canadian students, who moan about “too much math” or having to do –gasp!– written assignments or, Zod forbid, write two exams on the same day. I tell them this in order to bring home the truth, as I see it, that the West is losing the education war, and that we North Americans need to work very hard indeed to match the work ethic of our Asian competitors. After all, I want my students to be as competitive as their Asian brethren, and to be able to work, produce and excel at a global pace. This sentiment is touched on briefly in Hans Rosling‘s famous TEDIndia lecture, in which he states that in his experience students in India study much harder than do students in the West. I observed a similar trend during my tour of India’s major cities in 2007, where I noticed that every young person with whom I interacted seemed willing and able to sacrifice and to endure great hardship to do his part to push himself, his family and his country to the world’s economic forefront. I’ve seem similar work ethics in other parts of the world –China, Indonesia and Thailand come to mind– but never with the same weird mixture of optimism and desperation. It’s almost a truism now that a handful of formerly impoverished nations are poised to be the superpowers of the next century. The so-called BRIC nations –Brazil, Russia, India and China– have the world’s fastest growing economies, and are posting expansive economic stats, even during a global recession. Two in particular –India and China– are seen as the great emerging powers of the world. Indeed, it should be noted that in the history of human civilization, the two strongest economies on Earth have always been India’s and China’s, with the exception of the colonial period of the past 200-300 years. Currently, most US and Canadian foreign policy, with respect to these nations, has focused on China being the likely rival to the USA’s throne of hegemonic dominance. This is reasonable given the overlap between American and Chinese military interests (security of the Formosa Strait and arms deals in Sudan among them), and also because of the current dominance of Chinese products in US markets. Chinese GDP is 7-8 times that of India’s, her per capita GDP six times greater, and her inflation substantially lower. China’s infrastructure, her road quality, civic amenities and electrical grid, for example, are comparable to those of Europe or North America, making for relatively efficient goods production and transportation. And Chinese military power is well proven and disciplined, making China the great regional superpower of Asia. In the comparison of Chinese and Indian economies, a practice increasingly popular in the parlour rooms of academics, China seems to win according to every traditional metric. But there are qualities that hint at a dramatic shift in coming decades. I would like to respectfully suggest that it will be India, not China, that will take the world’s economy and culture by the collars and shake it till the human race takes note. Assuming that a global economy still exists, and assuming that Climate Change or some other apocalyptic event hasn’t ravaged humanity back to the Stone Age, I predict that the close of the 21st century will see India as the world’s leading nation. The demographic dividend. China has an age profile comparable to that of Western nations, specifically Canada. In other words, the Chinese are old. As a result, they are heading for the same economic precipice as is the West: in 10-30 years, the number of workers will be fewer than the number of retirees. This is a considerable economic strain. India, on the other hand, is a very young nation. The bulk of its population is just entering the work force. English. There’s a reason one of the more dynamic industries in China is English language training. They recognize that English is the current global lingua franca and the language of commerce. This will not be changing anytime soon, due to centuries of British then American global dominance. As a result of their colonial past, the elite and mercantile classes of India are already either functional or fluent in English, affording them immediate linguistic entry into the global market. It is not unusual or difficult to find fluent speakers of French, German, Portugese, Russian or any number of important world languages on the streets of India; the same cannot be said of China. British law. Another dividend of post-colonialism is the inheritance of a relatively functional, reliable and more-or-less fair judicial system, at least to the extent that it needs to be for business purposes. China’s legal system is functional, as well, but individual rulings at the local level are theoretically subject to the whims of the central ruling party. This is relevant to business because trans-border contracts need to have legal heft. An agreement with an Indian firm is guaranteed by the Indian legal system; there is recourse, at least in theory and more-or-less in practice, should a contract go awry. Politically engaged diaspora. Both nations enjoy large global diasporas which have sought and received commercial success. But the Indian diaspora has gone further by achieving political success. Canada, the USA, the UK, the Caribbean, Africa and beyond… all are seeing elected officials of Indian extraction who, while serving the needs of their electorate, nonetheless maintain a connection to the Motherland. This is serving to accelerate commercial, philosophical, cultural and political connections between India and the world. Energy profile. Both growing economies are emerging energy hogs. However, China’s model is a factory-based industrial one, depending on coal-fired plants to churn out cheap consumer goods that flood Western markets. India does some of the same, but is known more for its virtual products and human resources –information technology, call centres, medical tourism, etc– all of which have fewer industrial energy demands than does strict manufacturing. The result is that as energy production becomes increasingly prohibitively expensive, the Indian model for wealth generation will become more labile and efficient than the Chinese model. This may be the difference in sustaining Indian growth when the energy crunch really hits hard. Democracy. It’s somewhat propagandistic to suggest, as the West did during the entirety of the Cold War, that democracy is a prerequisite for national wealth; Singapore proved that assertion to be false. However, history suggests that democracy remains the best political system under which to build a thriving, stable economy. India’s functional democracy, unlike China’s one-party ruling system, is arguably more robust against major perturbations. A revolution, the argument goes, leading to a vitiation of trade deals and dramatic shifts in economic philosophies, is less likely under India’s system than under China’s. Soft power. Whereas hard power is military brute force and money spent by one nation to affect the behaviour of another, soft power is that exercised to encourage others to become acclimatized and sympathetic –almost desirous– of one’s lifestyle and perspective. There is official, government-funded soft power and unofficial, cultural soft power that flows naturally from a nation’s character and enterprises. 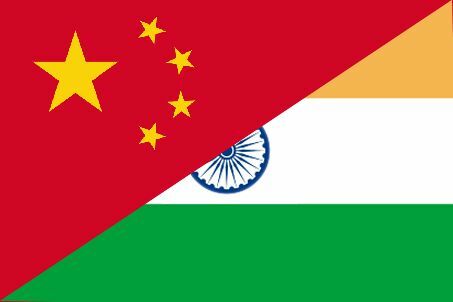 Both India and China have pursued the former, by sponsoring cultural exchanges and by investing in development projects and other goodwill gestures abroad. China, perhaps, has been more acutely involved in this activity, especially in regions of specific geopolitical interest, like energy-rich portions of Africa. However, the unofficial kind of soft power is arguably what is more pertinent to assuring a nation’s supremacy atop an increasingly monolithic world economic culture. After all, what has done more to promote US interests abroad, America’s vaunted military supremacy or Coca Cola, Hollywood and Britney Spears? Chinese cultural soft power has flowed slowly but consistently over the years, bringing kung fu, acupuncture and Chinese cuisine to all parts of the globe. But in recent years we’ve seen the explosion of Indian soft power. The ancient art of yoga is now, ironically, a fast growing multimillion dollar global industry. With it has come Indian styles of meditation and Ayurvedic medicine, all the rage in trendier parts of the West. India is now the centre of the English-language book publishing world, surpassing both the USA and UK in this category, and regularly producing Booker and Pullitzer Prize-winners from her sprawling diaspora. An increasing global acceptance of vegetarianism as a lifestyle, championed by celebrities and medical authorities alike, is being fueled both by rising food prices and by realizations that meat production is not an environmentally sustainable practice at current global levels. With the increased popularity of vegetarianism has come a gravitation toward the world’s most recognizable vegetarian culture in India. This, too, is a kind of soft power. Bollywood is, of course, the dreadnought of Indian cultural soft power. Bollywood images of beauty, athleticism, wealth, talent and vivacity are replacing extant world views of Indians as mystics, fakirs and impoverished indigents. The Oscar win of Slumdog Millionaire has permanently cemented the Bollywood ethic into the global mainstream, and with it a growing comfort with doing business with Indians, in all the ways that that phrase suggests. To paraphrase Shashi Tharoor, in today’s world it’s not the country with the biggest guns that wins, but the country who tells the better story; and India is quite adept at telling stories. The import of cultural soft power is being seen in the rise of Indian educational centres; a few of whom, such as the Indian Institute of Technology, are rivaling the top schools of the USA in quality and name recognition, and are attracting foreign students in increasing numbers. China has some excellent schools, as well, but the global branding of Indian schools is allowing their graduates to leverage those brands in trans-national commerce, by force of name recognition alone, a feat that was once the sole domain of top US and UK colleges. Both India and China suffer from that great worrisome blight of the Global South: the gaping chasm between rich and poor, both within city centres and between rural and urban poles. In the Chinese case, this has been managed centrally, by establishing specific zones of economic activity. But within those zones, tragedy abounds in the form of child workers and conditions rumoured to be occasionally medieval in their brutality. In India, the oceans of working poor underwrite the middle class’s rapid accumulation of wealth. In the streets of Mumbai, street-side sellers, sweepers and construction workers sleep in the streets or in temporary slums so that the important work of erecting skyscrapers and servicing the business class will not be slowed by the inconvenience of worker health or happiness. Neither the Chinese or Indian case is a sustainable model for labour rights or popular stability. Both nations must solve their worker rights issues before economic stability is achieved. Frankly, the nation who can do so first may, quite literally, inherit the world.